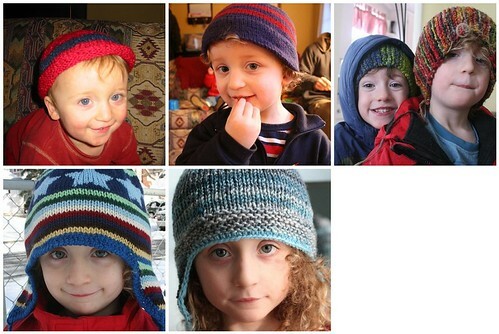 Tiny Dancer – five years of hats, originally uploaded by earthchick. I thought it would be fun to see these lined up. 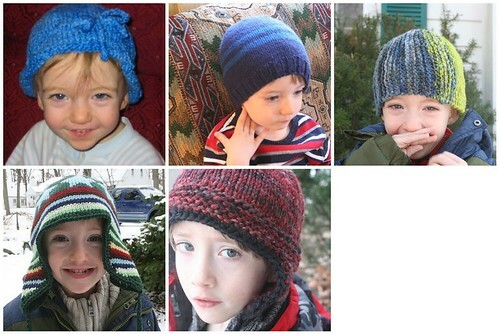 I realized last year that I have made a hat for each boy each winter, and then I decided to make it an official thing. This is adorable!! It’s amazing to see how much they changed from year to year. Also, thank you for reminding me how much I love the Zeebee pattern. This makes me so happy. Beyond words!! So sweet, and I hope it’s something you continue. Cute hats! It’s so much fun to see how your boys grow each year. This is such a great tradition!